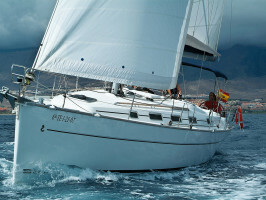 Sail in the pristine seas off the southwest coast of Tenerife aboard the luxurious Sea Quest FF. 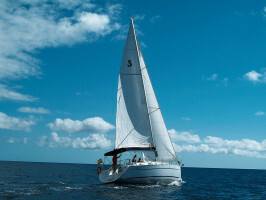 These relaxing and scenic trips last about three hours and you can come along on an organised cruise or on a private charter to a destination of your choice such as the picturesque island of La Gomera. The Sea Quest sails out of Puerto Colon and is skippered by an experienced and devoted captain who is passionate about his job. The seas off Tenerife are his life. 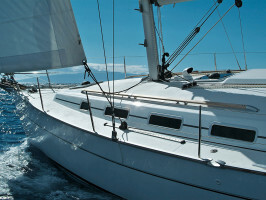 The boat holds a maximum of 10 passengers, which adds to the sense of exclusivity. The options for exploration are countless. Organised charters are available to destinations such as the stunning hillside hamlet of Masca, which sits at the head of a jaw-dropping gorge in the northwest of Tenerife. Or sail to the base of the imposing Los Gigantes cliffs on the west coast of the island – some of which rise more than 500 metres above the sea. The volcanic island La Gomera is just over 20 nautical miles away and among its many natural attractions is the famous Garajonay National Park, which is a Unesco World Heritage Site. The boat is also available for hosting parties. There is so much to do and see from aboard the Sea Quest. Meeting point: Pier No.8, Puerto Colon, Costa Adeje. Languages: On board guide in English and Spanish. Start/opening time: Departures at 10am, 1pm. From April until October, one additional departure at 4pm. Private charter: please indicate in advance which day and at what time you would like to make the excursion in order to confirm availability of the service. Opening days/period: Daily. Min. Age: For the 2 hour Sunset Trip: children are not allowed. 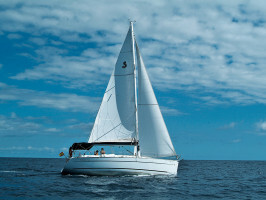 Others: For the 3 hour Sailing Trip: children under six years of age go free and those up to 12 are charged half-price. Included in the 3 hour Sailing Trip: salad, ham and cheese rolls, a piece of fruit and drinks (soft drinks, beer, water, red and white wine). - Meeting point: Puerto Colón ,Costa Adeje dock nº8. For Private tours 3h /4h /7h please advise date and time you would like to book the service in order to confirm availability. - Please ensure you arrive at the meeting point at least 15 minutes prior to the tour start time.